How do you know when your actions are a success? A clear indicator is when you achieve the desired results. With that in mind, the leadership of the Democratic Party must be celebrating today. They have worked tirelessly to instill Americans with a sense of hatred for Republicans and it is paying off. And so, Republicans are killers. They cheer executions, favor dirty air and water, and enjoy letting the uninsured die. Republicans are homophobic and are without sympathy for victims of floods, wildfires and hurricanes. Republicans are callous and insensitive, and are bent on keeping students, working Americans and minorities from voting. We see the repetitive theme that Republicans are bad people. Do the efforts bear fruit? If you look at the comments, you will see that the Daily Kos readership approves of Troubadour’s remarks by a ratio of more than twenty to one. 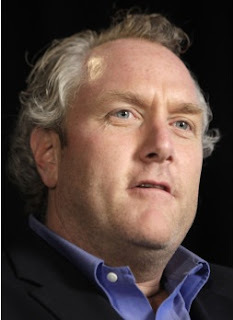 Andrew Breitbart died last night, and sentiments from the Democratic Party are pouring in. Charlie Spiering of Beltway Confidential in the Washington Examiner provides a compilation of Twitter comments. Note the frequent use of allusions to Adolph Hitler. What must that feel like in the Democratic Party leadership? When you successfully teach people to hate, do you feel pride? Do you feel powerful? Millions of Americans are learning to hate. The Democratic Party must feel validated.